In general elections, Texas voters have the option of supporting all the candidates of a political party by casting a straight-ticket vote. And the case for voting a straight ticket is much stronger today than ever before. About 40 years ago, most straight-ticket votes in Texas were Democratic at a time when voting a straight Democratic ticket could result in backing supporters of both George McGovern, an ardent civil rights advocate, and George Wallace, an unreconstructed segregationist. Voting a straight ticket was like buying a pig in a poke. You never knew exactly what you were getting. As the two major parties have become more clearly differentiated on overall philosophy of government as well as on specific policy issues, voting for all of a party’s candidates is now a convenient, logical decision. In virtually every election today, the Democratic candidate will be to the left of the Republican candidate. This applies to executive, legislative and judicial offices. Comparative studies in other states have shown that the partisanship of judges can explain a good deal of their attitudes toward questions of criminal justice and civil law. In other words, unlike in the past, voting a straight ticket is a reasonable response to the number of choices a voter must make. This distinction between the two major parties is especially relevant in the more populous counties, where dozens of public offices are contested on any one ballot. Very few voters will be familiar with the names — let alone the policy stances and public records — of many candidates seeking their votes. In the race for Harris County Civil Court at Law No. 4 last year, it’s safe to say most voters couldn’t differentiate between Roberta Lloyd and Damon Crenshaw on anything other than gender or party affiliation. Is a more informed electorate one that votes on the basis of gender, race, ethnicity, attractiveness, recognition of a candidate’s name, or the endorsement of some non-representative special-interest group? Take away the straight-ticket option and down-ballot candidates will be forced to spend even more money building their name recognition and wooing support from special-interest groups. That will only lead to more nefarious “slate” marketers selling advertisements in voter guides in return for an endorsement. Also, when people are faced with a daunting number of ballot decisions, voter fatigue sets in and the participation drop-off by the end of the ballot can be substantial. Given the limited information on many of these offices available to most voters, the logical and informed choice is to simply cast a straight-ticket vote. Indeed, straight-ticket voting has been on the rise in Texas. In the last three elections, more than 60 percent of all voters statewide chose the straight-ticket option, up from less than one-half last century. Last year in Harris, Fort Bend and Montgomery counties, more than two-thirds of all voters took advantage of this option. 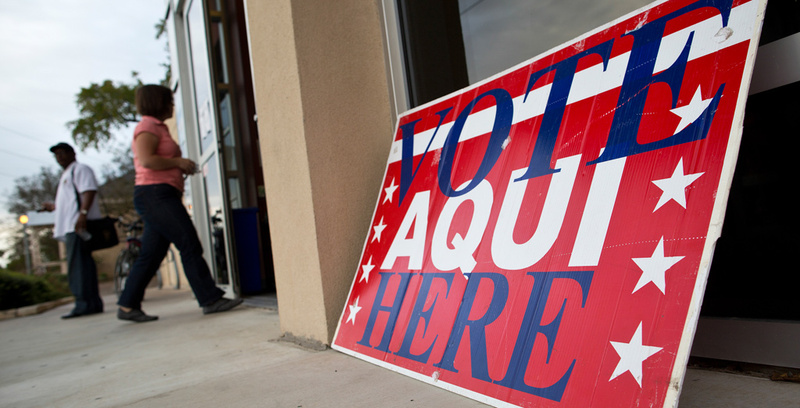 Texas voters realize that there’s a difference between the two major parties, that it’s impossible to know the qualifications and public records of all candidates, and that an intelligent choice in such a situation is to cast a straight-ticket vote. This option shouldn’t be denied to Texas voters.